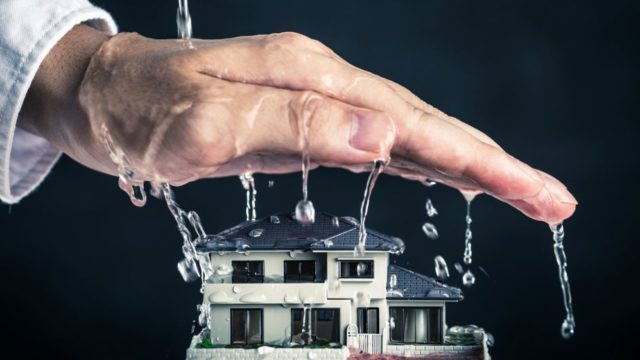 Don't Let Your House Devalue, Get Water Damage Restoration Right Now! Don’t Let Your House Devalue, Get Water Damage Restoration Right Now! Maintaining property involves many things. Sure, once your house is damaged, you could spend a lot of money to repair it. One of the most common problems that can happen to a house is water damage. It can be caused by leaking water pipes, storms, or cracked roof. Though it’s a more common problem for old houses, a new house can also have problems with water damage and leaking. If you don’t treat the problem properly, it can cause serious damage. Eventually, your house will devalue. As a homeowner, you would not want it to happen. 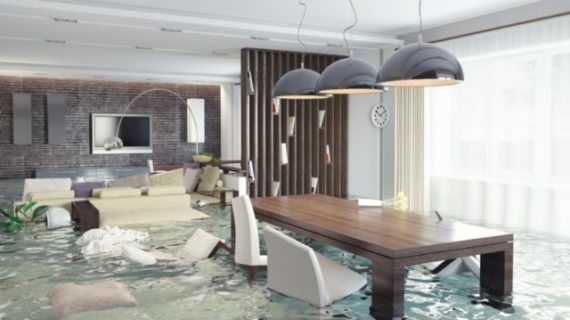 There are many things that can cause water damage. Your sink, bathtub, water heater, and shower may have leak on its pipe, and the water seeps through. Houses in extreme weather may have frozen pipes and drip water when it’s thawed. You might have had storms coming, and the roofs are broken, causing water to get in from the ceiling. It may cause a different problem to the different areas of the house. 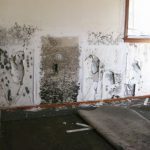 One of the damages that can happen after your house is exposed to water is the growth of mold. 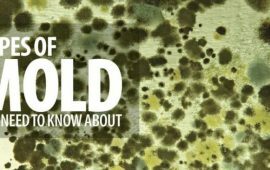 Mold grows fast and can cause allergic reactions and even fungal infection to your family. Furthermore, mold can also cause decays in woods. Since most of the house construction uses woods, having mold in your house can be dangerous. Water drips can also cause molds in your furniture such as wooden flooring and carpet. Not to mention that mold has a specific smell that can make your house feel uncomfortable. The problems may occur and can become more serious if you don’t treat it immediately. To avoid the problem from spreading, you need to know the signs of water damage. To find the signs of water damage, you may check the entire house especially on critical points which have water pipes and openings. These areas include basement, crawl space, ceilings, kitchen, water heater, and bathroom. Stains on walls on the ceiling. It’s as if the paint has patches of water and discoloration. Search for brownish stain with water marks. Chipped paints. 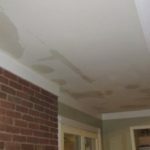 Hidden water damage can cause humidity in walls. Humid walls will eventually peel the paint off. Look for the walls that have bubbles or chips. Damp floor. Though you may not be aware of the water drips, you can look for damp floorings and carpet. It mostly happens to wooden panel floorings and carpets. Mold growth. 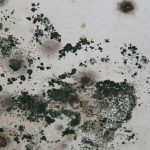 If the problem has been around for a few weeks, you should notice that there are visible mold patches. It looks like stain patches with gray, black, or green dots. 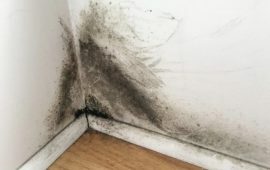 Some mold has a dusty white appearance, indicating it’s ready to spread more spores. Unpleasant smell. 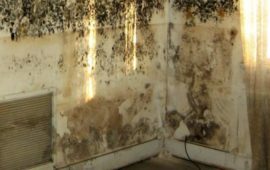 In a large group, molds can have an earthy odor that smells wet and unpleasant. Notice any unusual smell in your house; it could be groups of unseen molds in basement or crawl space. 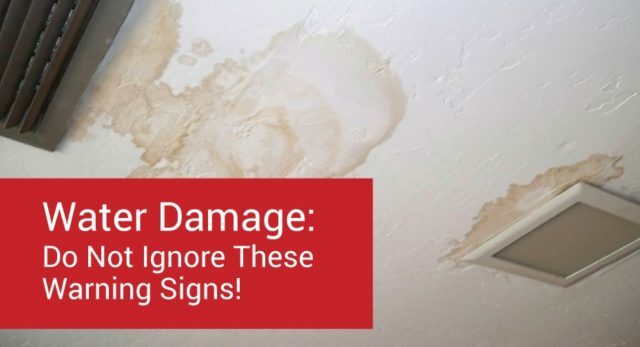 Once you find any of the signs above, you should think about the next step of water damage restoration. You may consider fixing the problem by yourself if the problem is not too serious. However, you can also find an expert in the restoration so that you can solve the problem properly especially when dealing with molds. Indeed, one spot of mold can lead to a further problem in the future. It will reproduce and spread to another part of your house. Repairing ceiling, basement, walls, and paints seem like an easy job. Yet, dealing with mold needs more skill and attention. 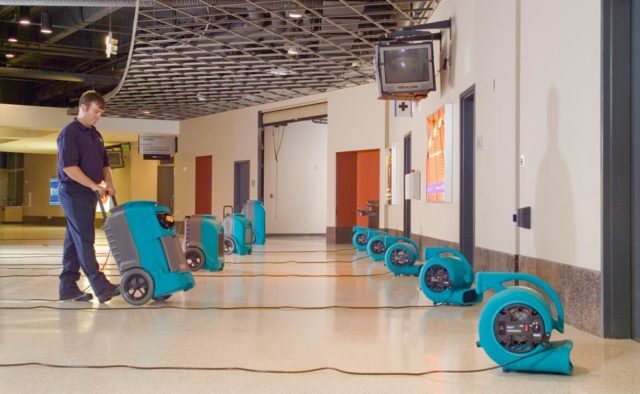 After you have found the affected area, the next thing you need to do is to prepare the water damage restoration equipment. However, you will need to determine the water damage category as it will require different equipment. 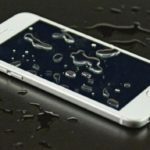 Water damage falls in this category if the leaked water is not contaminated and involves fresh water such as rain water, sanitary water, and clean water. You will not need much protective equipment while working on category 1 of water damage. However, it is better that you prepare for the worst and still at least wear a protective mask. In category 2 of water damage, the leaked water contains contaminants like bacteria, microorganisms, and chemical. It can come from toilet bowls containing urine and discharged water from the sink or washing machine. Any contact with the water would lead to discomforts such as nausea and itchiness. This category is also known as gray water as contaminated water often has an unusual color. Avoid contact with this water unless you are wearing a protective mask, glove, and boots. Category 3 of water damage is also known as the black water. 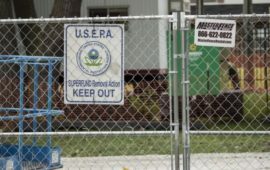 It usually contains dangerous chemicals, biological, and physical contaminants. Black water comes from the category 2 water that has been left untreated for a long time. Any contact with the water can cause severe sickness or infection. Furthermore, it can be dangerous if you let it around the house and affect the indoor area of the house. It is recommended that you protect all part of the body from touching the water. It might be necessary to use a respirator to keep the job safe. After you understand about the safety equipment, you might need to know some of the working tools to deal with the water damage and its affected area. If the water comes from the water pipes, plumbing tools might be used to stop the water source. Broken pipes also need to be replaced. Additionally, you should add insulation to prevent the problem from coming back. Once the water source stops, the remaining water needs to be extracted. The machine will draw water from the affected area, leaving the area clean and somewhat dry. Although the extraction machine has drawn the water, the humidity inside the house might be high. The experts usually use air dehumidifier or heavy fans to get rid of the humidity. However, damaged drywall and insulation might need to be replaced as it cannot be dried completely. The air tester would decide whether the area is completely dried or not. The air tester will not only test the humidity, but also the contamination level around the house. After all the water problem has been solved, next thing to do is to repair any damage that is left. The damage can be ruined floorings, chipped paint, soaked furniture, or damaged ceiling. You will need standard repairing tools, paint, ceiling and dry wall patches, putty knife, and tarps. Measure all the affected area to make sure you replace all the damaged part of the house. If you are doing the job by yourself, you might want to consider renting the machinery. As for air tester, you can buy it online for around $100 to $190 depending on the type. However, if you think that the problem is too heavy for you to handle, you better call an expert on the water damage restoration. Though it means more expenses, you will get the job done professionally. Thus, the problem has lesser chance to reoccur. 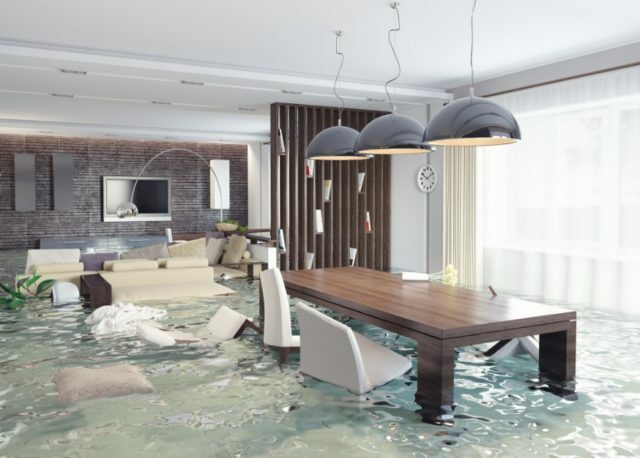 Water damage can be a very serious problem. Treating it properly means you have to be careful on the steps and make sure that no spot left behind. Remember, one spot of mold can lead to another growth of it somewhere else inside the house. So, you need to make sure that the water source is stopped, the molds are eradicated, any damaged construction is restored, broken furniture is replaced, and the air is free from any contamination. Locate the water source. In some cases, there may be more than one source. Check for the ceiling, attic, sink, appliances, basements, and walls. The sign can be seen from the damp area and discoloration on the ceiling and wall. Once found, stop the water source by using plumbing tools. Replace any broken pipes to make sure that the leak is stopped. On the working area, move all furniture or cover it with tarps. While turning on the dehumidifier, use the water extractor to remove any remaining water from carpets, drywall, and pads. Broken carpets need to be replaced, or it can cause further problems later. If you are cleaning the area, make sure that you use a kind of biocide to get rid all microorganism caused by the water damage. Trace the water path. Water tends to flow to the lower height. It is logical that you check any possible area where the water flows. Focusing on the affected area, close all air paths and prepare to dry the area. To make it more effective, you may use more than one dryer. Make sure that all dryer blows to the same direction. Once the room is dried, you can leave it for a few days with regular monitoring. Test the air and check for the humidity level. After the drying is complete, you can start to reinstall the furniture, appliances, floorings, or carpets. Replace and repair the ceilings, floorings, walls, and paint. To avoid the difference in color, you may need to repaint the whole area. Finish the job by cleaning out the area. On a standard operation, the procedure of water damage restoration may take three to four days to finish. Bear in mind that you would not be able to use the affected area. So, if the affected area is crucial like bathroom or kitchen, you may want to consider finding a temporary solution. To be straightforward, most of the insurance companies do not cover for water damage. The main reason behind it is water damage restoration may take a lot of effort and cost. 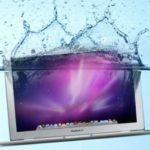 Another reason is that water damage could have been happening since a long time. It could also be one of the signs of reckless house maintenance. So, do not waste your time by hoping for the insurance claim. However, there is some homeowner’s insurance that covers for molds, water damage, and loss of furniture. You may need to reread the policy and contact your agent. Ask if there’s any possibility of claiming some or the entire process of water damage restoration. In fact, some insurance might cover for water damage restoration as long as it is caused by sudden disasters like storms and flood. Slow and ongoing problems like water leaks and cracked roof would not be covered. The insurance company thinks that slow problems like leaking and cracking would be easy to repair while it is still in the early stage. If you are claiming the problem when it is already critical, you may be seen as an irresponsible homeowner. As you need to repair the water damage at your own expenses, you should know the standard cost. 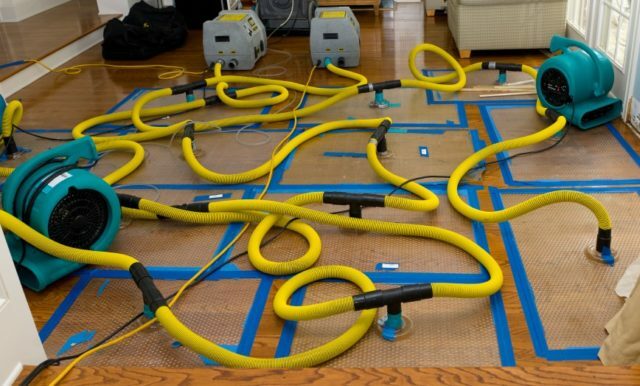 Water damage restoration needs a high skill of assessing and repairing the house. So, make sure that you hire the professionals. However, you may need to hire more than one expert to do the job. Some of the experts that you will need to hire are the plumber, mold expert, repairman, and water damage, professionals. Indeed, 80% of the water damage restoration cost will be the budget of the labors’ skill. Machinery rental and construction replacement would not be as expensive as the labor in total. 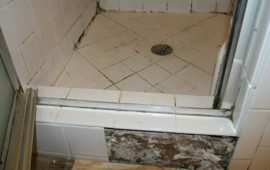 Depending on the affected area, the standard cost of water damage restoration is around $19 to $29 per square feet area. As for labor, the budget should be around $30 to $35 per hour depending on the expertise level. 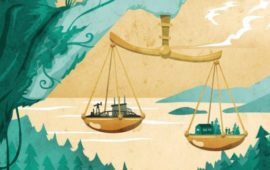 The jobs can be divided as high-skilled and standard-skilled. For jobs like replacing dry walls and paintings, you can actually do it yourself. Without a doubt, it will reduce your expenses on the water damage restoration. Do an initial consultation with the expert to make sure about the budget. To review the budget, the water damage expert might have to do an assessment to your house. Hardwood floors can last for a long time especially when it’s well-maintained. However, water intrusion can be somehow destructive to woods. It can happen to your hardwood floor after the long duration of water contact even when your floor is already coated with polyurethane. The visible signs of water-damaged hardwood floors are discoloration, feels damp and soft, and has an unusual smell. Though, you will need to check the damage level before replacing it. Sheer discoloration if the first level of water damage signs on the hardwood floor. To deal with this problem, you don’t have to replace the whole floor. You can scrape the surface using sandpaper and re-coat the wood. However, it is hard to find a coating material that has the same color with the previous one. The trick is to sand the whole area and recoat it. You may find it hard to scrape the original coating as it has been there for a long time. If the hardwood floor seems to have mold on it, make sure that you scrape away all the spot. Don’t leave any spot behind because it can lead to more mold growth – means the problem has not been yet resolved. For hardwood floor that has been heavily damaged, consider replacing the whole area or the entire patch of floor. Through time, water can damage the wood by dissolving it, and your floor can eventually be deteriorated. Indeed, working with hardwood floor needs some repairing skill. If you don’t think you can do it, you can call a repairman to get it done for you. Still, calling a specialist would mean more expense to your budget. 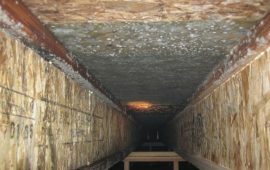 Crawl space and basement are some of the most common areas to be affected by the water damage. In particular, a basement tends to get humid easily because it is located in the underground. Just as any area of the house, molds can also grow in the basement after long contact with water. Furthermore, the basement is the lowest point in the house. So, leaked water can find its way and pile up below. Across the country, a flooded basement is one of the most common problems to happen. A basement is also hardly touched by the sun light. The damp and dark area of a basement is the best environment for mold to grow, especially when it has the right temperature. It is recommended that you check for the basement even when you have water leaking from another area of the house. Similar to repairing any area of the house, you need to extract the water from the basement and dry the area. As mold can grow fast, you should not be late in treating water problem in the basement. In handling the basement, the treatment should be rapid and thorough. Another problem with the floor is the carpet. If you are using carpet on some of the areas of your house, there is a big chance that it absorbs water from the leaks. Any carpet material can have serious problems when exposed to water. Most of the carpet material is porous and can be the perfect environment for mold to grow. One of the most important things to do after you notice a water damage in your house is drying the carpets right away. If the problem has been around for a long time, you might want to consider replacing the carpets. Talking about cost-wise, you may also check for the carpet paddings. If the carpet is wet and the paddings are showing visible signs of damage, you may replace the paddings. It would be less expensive than having to replace the whole carpet area of the house. Renting several big blow-dryers can solve the problem of wet carpet. Though, heavy-damaged carpet cannot be simply dried. You will also need to apply bleach to get rid of mold spores that begin to grow. Bleach will kill the spores and any bacteria that live inside the carpet. Dealing with water damage is never an easy job especially when the problem has reached a critical point. Leaking pipes, damaged construction, and mold growth is some of the hardest things to solve. The problem could be worse when it comes from storms or flood because it can bring bacteria that are dangerous for the family. If you already have the budget and want to restore your house condition, you can contact the Institute of Inspection Cleaning and Restoration Certification (IICRC). They will be glad to inform you about the recommended professional in your area. For example, you may need to know about the recommended mold specialist that has dealt with the mold problem many times before. Some of the local companies might offer an all-in service from the plumbing to the area restoration. To find the best company, you may check the neighbors’ testimonials and also user reviews. Later, the price would also determine the service quality. Don’t forget to find a company that offers a service or refund guarantee if the problem comes back. Undeniably, it is also hard to maintain the house once it is restored. In summary, the job of water damage restoration should be done by professionals. However, you can also do some of the jobs yourself to reduce the cost. Consult and ask the water damage restoration company to assess the water damage level to agree on the budget. Before mold eats out your house, it is better to be prepared and prevent the leak from happening.